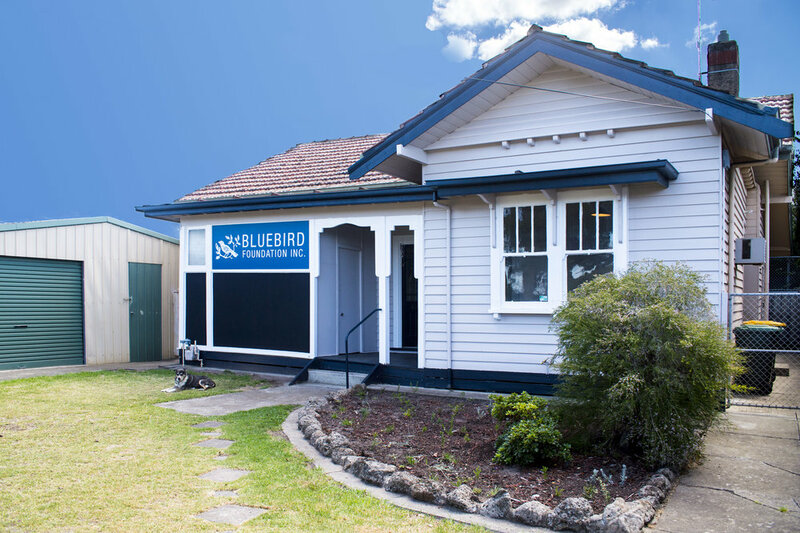 Bluebird House is a delightful weatherboard cottage on the corner of Carr and Swanston Streets, South Geelong. It provides an office, storage space and home for Bluebird projects. The venue is also available for hire by community groups and artists at affordable rates. A beautiful working space with bountiful natural light. Access to wifi, data projector and printer by arrangement. Comfortably seats 8. Additional tables and chairs available. Priced from $10/hour for regular bookings. Daily rates available. A small teaching studio perfect for instrumental lessons. Tuned piano, large mirror and music stand included. Priced from $5/hour for regular bookings. Daily rates available. A large double garage perfect for large-scale messy projects. Comfortably seats 12 but more tables/chairs available. Outdoor sink with paint trap for easy clean up. Functional kitchen with tea/coffee facilities, fridge and stove. Access included with hire of meeting room and/or teaching studio by arrangement. Bluebird House also includes a full bathroom, an undercover BBQ and laundry. Talk to us about how your ideas can come to life at Bluebird House.